One of the several educational rotations at The Ranch for our students at risk is our agriculture/wellness program. The Ranch has a large green house and garden facility funded largely by Hy-vee’s One-Step Garden program and the Iowa Farm Bureau Foundation. 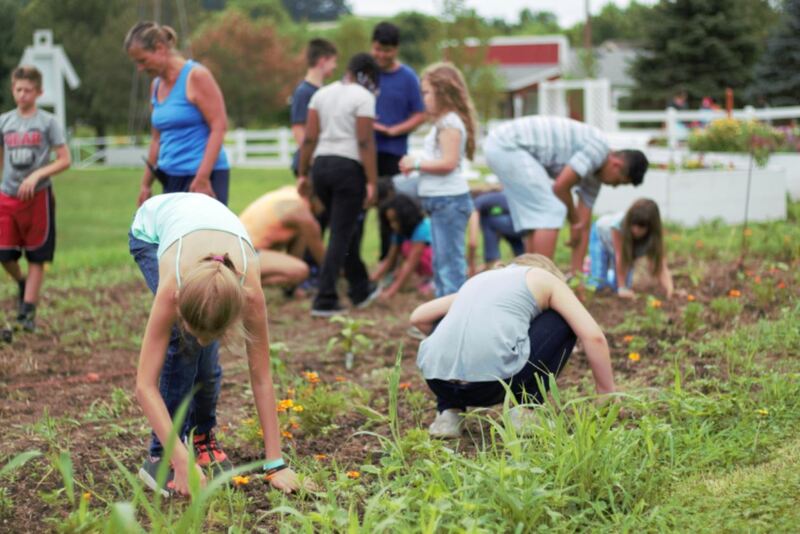 We use our facilities to educate youth on how to grow their own food. Also, we use the produce in our dining hall and donate/sell the remainder. As our garden grows, we are looking into additional ways to offer the fresh produce our youth help grow to the community. The value of teaching children how to grow and cook their own food has life-long benefits including nutrition, sustainability and economical savings. Our garden program would not be possible without our amazing staff and volunteers. We are especially grateful for our ag leaders Darla Millholin, Carol Barnett and Kristie Lundeen. This year alone, students from 94 different cities or communities from across the state of Iowa participated in our agricultural program thanks to the help of The Iowa Farm Bureau Foundation. We were able to provide 1,110 agriculture education hours to students this year! Students were even able to try some new produce options like watermelon, gourds, cantaloupe, and purple carrots. The salad bar was offered for 10,000 student meals this summer. The fact that we can provide that much nourishment to the youth that we serve is incredible. Especially considering that 76% of our students’ families are living at or below the poverty line. According to the Iowa Department of Economic Development agriculture represents between 4 and 8 percent of Iowa’s personal income. Approximately 97,000 Iowa farms raise 18% of the U.S. corn crop and 18% of the U.S. soybean crop. Iowa also produces 18% of the U.S. pork, 4% of our grain-fed beef, and 8% of the egg production. Exposure to one of the largest industries in our state is paramount for our youth to succeed. Our hope is that each of our students will consider a career in agriculture but even if agriculture does not become their life long vocation, we trust they will at least have a healthy respect and better appreciation for the industry that is helping feed the world.